If Masood had been a “very religious” Christian, the establishment media would be investigating what was taught at his church, and publishing searching features about the crisis within Christianity. But since he was a “very religious” adherent of a religion that mandates warfare against unbelievers and thrice repeats in its holy scripture the demand that believers must “kill them” (2:191, 4:89, 9:5), the establishment media is busy doing what it always does after a jihad massacre: making sure that no one thinks ill of the killer’s motivating ideology. KHALID Masood has been named as the terrorist behind the London terror attack – a violent, bodybuilding, career criminal born in Kent as Adrian Russell Ajao. 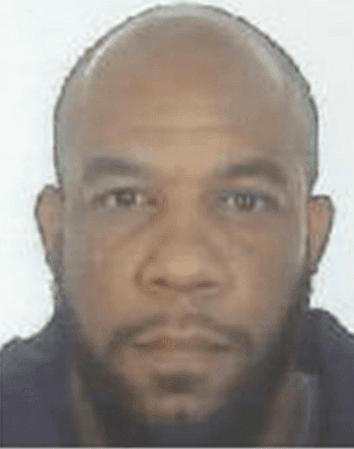 The Met Police said the 52-year-old, shot dead on Wednesday by police gunman after his twisted rampage, was a married father to three children…. Masood was not born a Muslim but converted to Islam. He was said to be a “fitness freak” and bodybuilder…. One source described him as “a big bloke, he looked like he was a bodybuilder, wouldn’t want to mess with him”. He added Masood was a “very religious, well spoken man. You couldn’t go to his home in Birmingham on Friday because he would be at prayer”….